Welcome to the Bellevue SEO page on HelmutHampton.com. I’m Helmut Hampton, and my company is the #1 SEO agency in Keystone, Westchase, and Citrus Park Florida. This is according to both our Google and our clients. You can see this in our rankings and our testimonials. See both below. We dominate the search engines in our area, and now we are spreading to Bellevue, WA. After living in Florida for most of my life, my wife and I are excited to be moving to Bellevue. We love the weather here and how close everything is. Washington is such a beautiful state and we feel that Bellevue is a perfect setting for us now. We are just a short drive from Seattle, which we fell in love with on an unexpected anniversary trip detour in 2012 (a blizzard related travel disruption). There was so much to do within walking distance of our hotel. There were shopping malls, fantastic restaurants, chocolatiers… and who can forget the fish-throwing fun at Pike’s Place Market? We had a blast and have always wanted to return to the area. Also, when we’re more in the mood of the great outdoors, the mountains are close by, too. You can see some of the best hiking near Bellevue here. All in all, we love Washington State and are glad to be here. As you saw above, my company dominates the search engines back in Florida. We know how to rank websites in Google and get your business more traffic. We’ve done it for ourselves and our clients and now we can do it for your Bellevue business as well. Of course, I still have clients I do SEO for in Florida and continue to rank them today in Tampa and Clearwater. That’s the beauty of the internet…. I don’t need to be there in person to get their business found in Google. You don’t even need to meet me in person at all here in Bellevue. The only reason I like to get clients in the local area I live in is that I’ve found it makes business owners more comfortable to meet me in person. They get to see me, know that I’m the real deal. We can talk SEO, talk business, and I’ve found that it helps to set them at ease. It’s kind of like dating. You generally feel more comfortable meeting someone in person than “meeting them online”. You can see that they are for real, talk to them, etc. You get a much better sense of how a relationship is going to go this way, so I understand why some people prefer this. However, some of my clients are global firms that sell internationally, and I’ve never even met them in person. It’s all been phone calls and email. So, technically, it’s not really necessary for me to be in the area, but since it makes some of my potential clients more comfortable, I get a good amount of my client bases where I live. 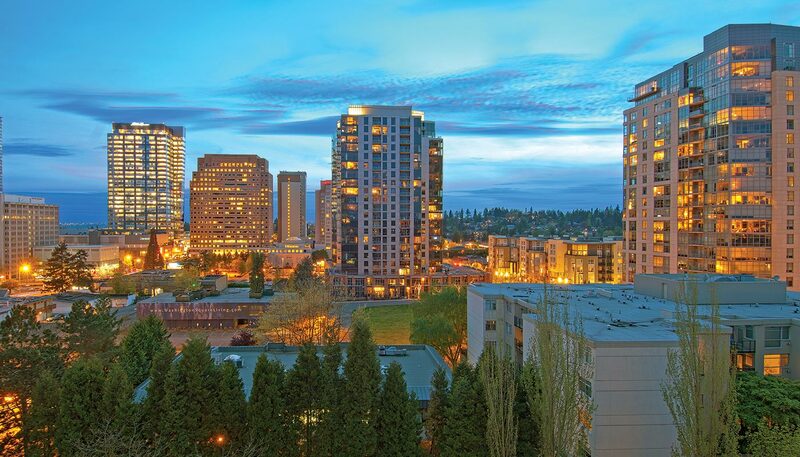 Hence, my digital marketing company is now in beautiful Bellevue, WA. I showed you my SEO rankings and my client referrals right up front so you can see that we are the real deal and we know how to get businesses found in Google. This is not guesswork or us. We do this repeatedly for our own businesses and for our SEO clients. We can get your Bellevue (or anywhere else) business found in Google just the same as we have done for our many other clients. If you are in the Bellevue area, I hope to see you around as I will be attending many Chamber of Commerce and networking events. Also, check out what we have going on outside the US in Italy and France.